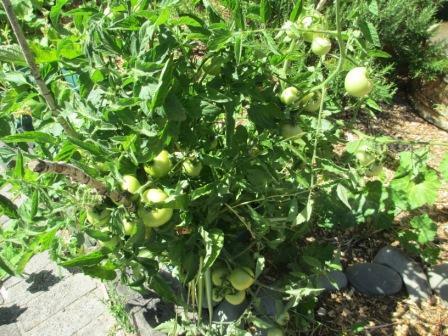 Interestingly, the rogue tomatoes that have sprung up seem to be doing better than the seedlings that I bought and planted. Perhaps a seed that nestles itself into the ground with no human help has Mother Nature on its side? 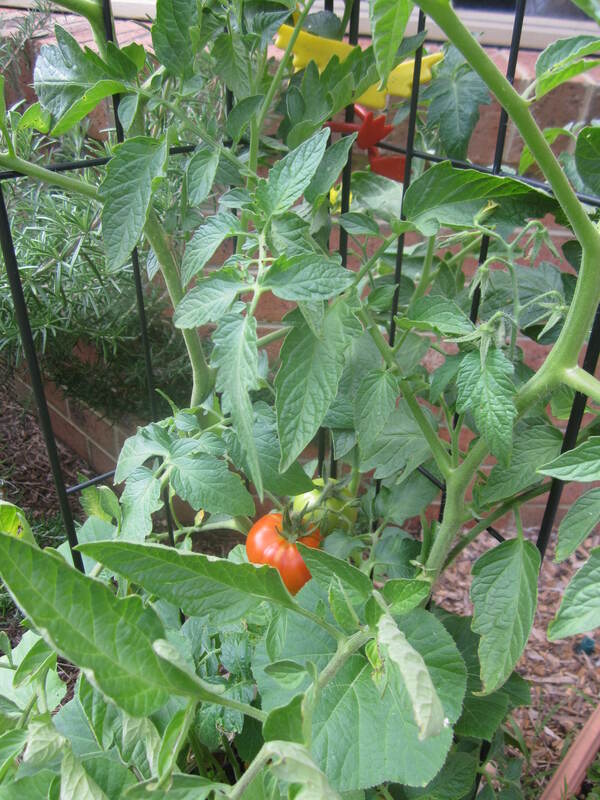 In any case, I am looking forward to these tomatoes ripening into fine specimens. 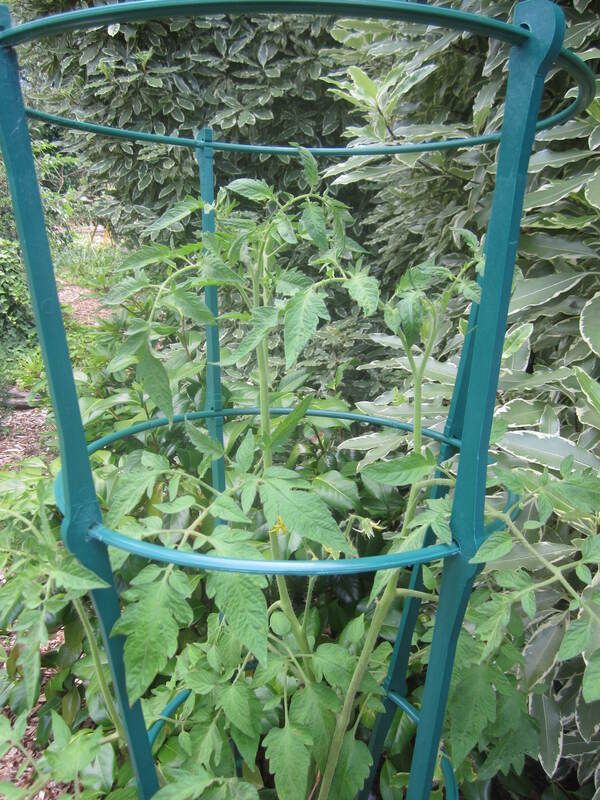 I was not playing for poker stakes, but tomato stakes. 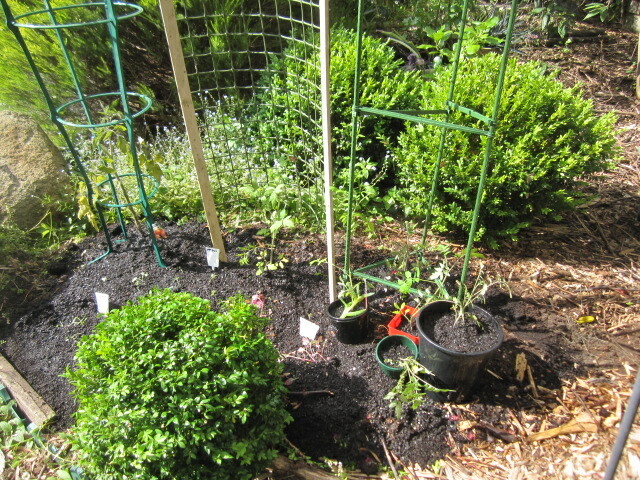 I decided to plant out all the tomatoes I had in pots in one section of the garden. When I was at Bunnings I asked a man who had a big trolley of potting mix and other assorted gardening paraphernalia, which he would recommend for tomatoes. 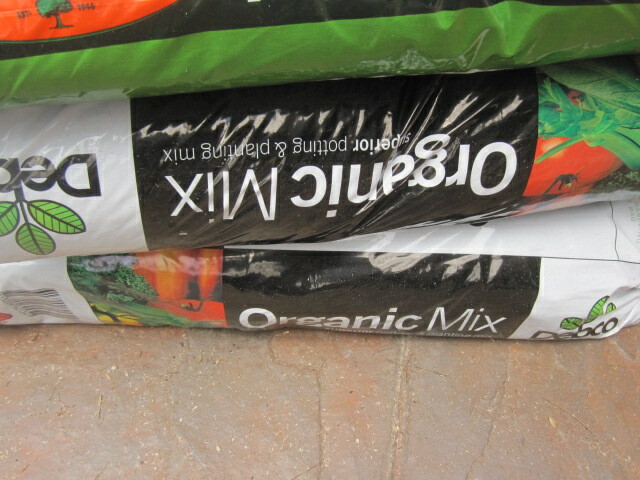 Coincidentally, he just happened to be a horticulturist, so I was happy to take his advice and purchase the organic mix he recommended. He also suggested buying some Thrive for later fertilising, due to the correct balance of nutrients. I’m still learning about the ratios of nitrogen, potassium and the other thing. The more you learn about any subject, the more you realise how little you actually know. 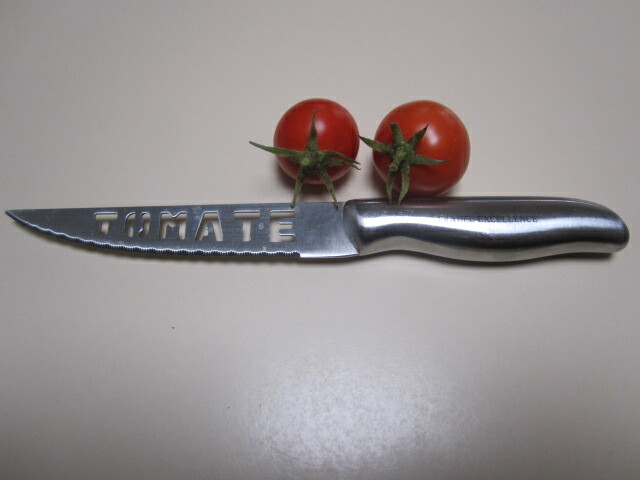 It was with some sadness I picked the last two tomatoes from the vine. 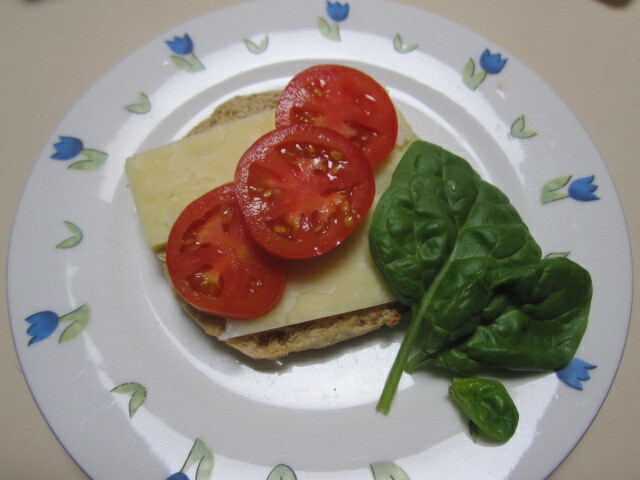 Not a great crop this year, I relished eating the second-last tomato sliced onto half a wholemeal toasted muffin with some tasty cheese and baby spinach leaves. Kindly, I left the final tomato for my husband, as some consolation for his plant still having produced no tomatoes whatsoever. In the end he decided that I may as well eat that last tomato as well, so I did. 60/366: where has all the coriander gone? My coriander quest (from day 31 /366) has failed big-time. I had been warned that during summer the coriander seedlings might bolt to seed, but they just totally disappeared. 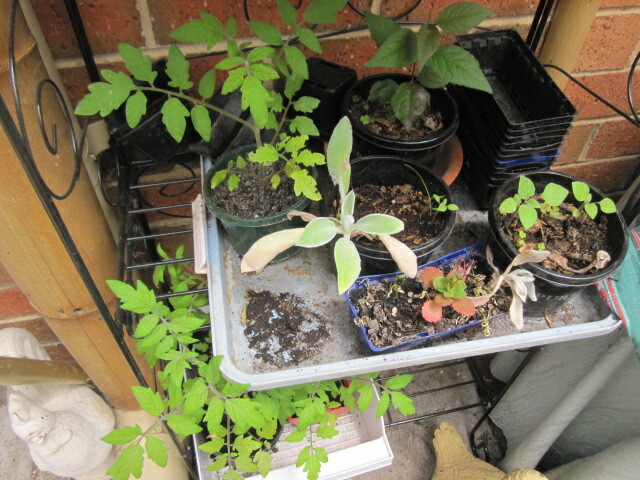 And what about the tomato plants I was so excited about? 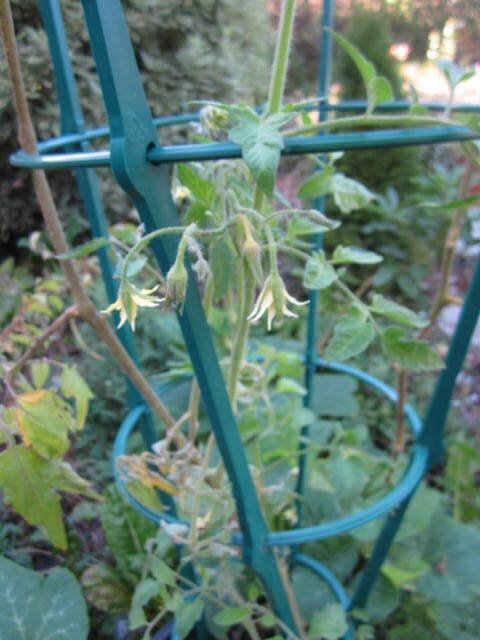 This appears to have been the worst season for tomatoes that I have ever known. Mind you, my experience there is limited. Aha! 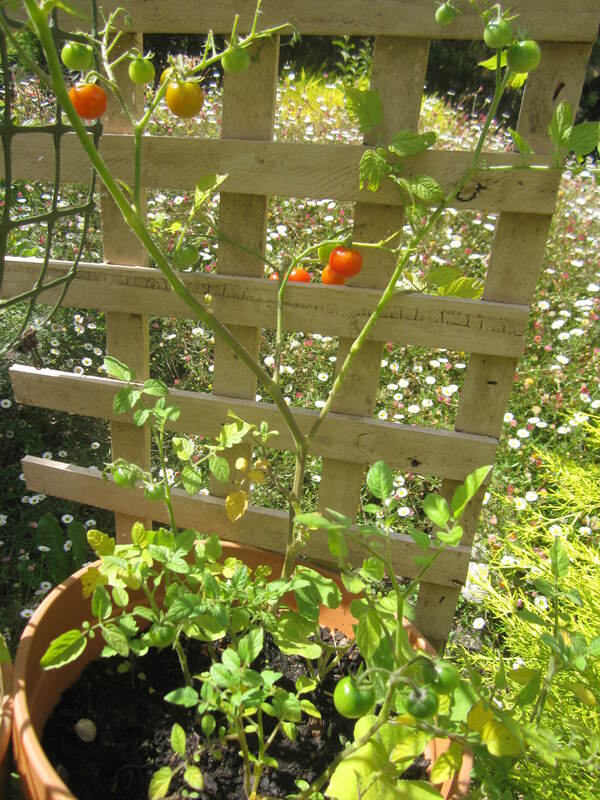 Perhaps the coriander seedlings ran away with the tomato flowers and they have eloped. I wonder if they have created a new breed – perhaps a corimato, which would be a fleshy red tomato with a coriander flavour, which could be very nice in a salad? Now I have a theory about the tomatoes. Because some pumpkin seeds must have been in the compost that I used for part of the potting up of the tomatoes, all the tomato pots ended up sprouting pumpkin seedlings, so perhaps this took away some of the nourishment required for the tomatoes? Not enough sun? Too much water? Too little water? Who knows? 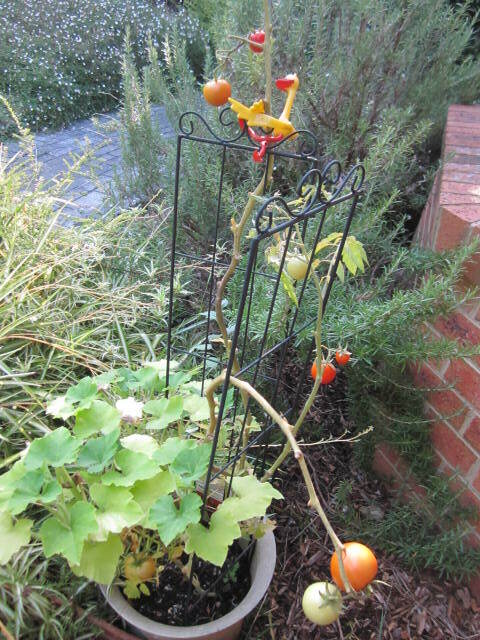 The only thing that keeps me going is that I won the tomato competition (day 6/366), and my husband’s tomato still hasn’t fruited! I was looking forward to picking the first cherry tomato of the season, and today was that day. 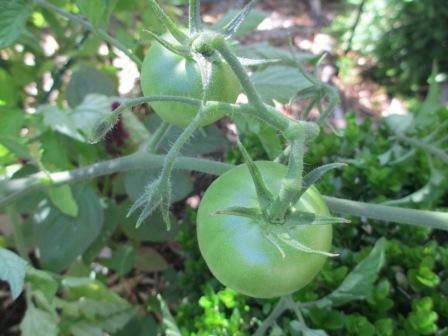 Bite-size tomatoes can be great in a salad or even as a little snack – much better for you than lollies or chocolate. 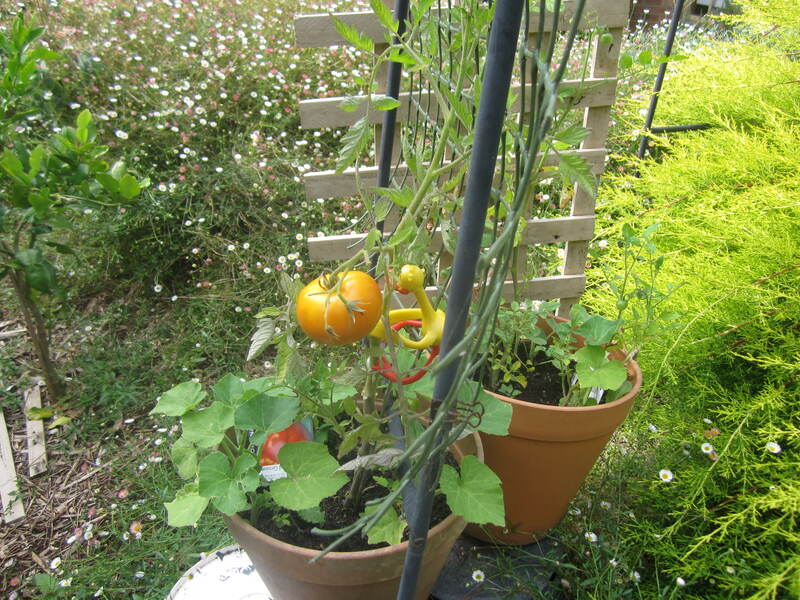 There are two tomato plants in the same pot, and I noticed when I was weeding the pot there is a new baby one. 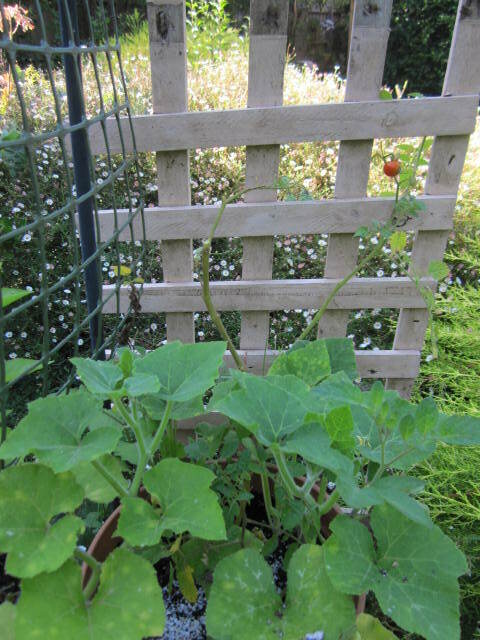 You might notice there appears to be another pumpkin seedling. 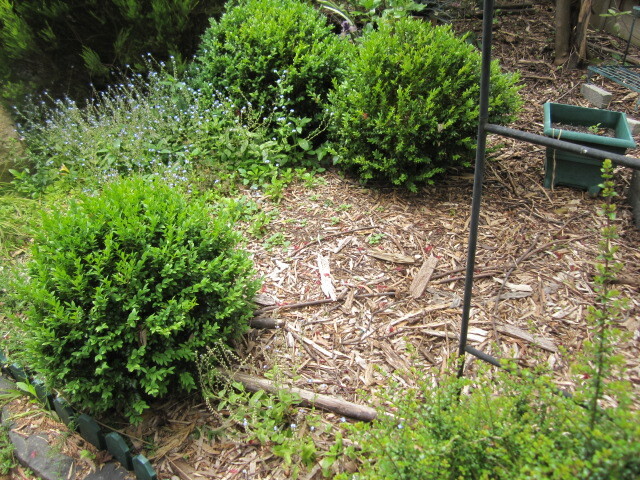 I used some of my composted soil which could explain that. Maybe I could plant it out? Apologies for this slightly out of focus shot, but I can’t take another one, because as soon as I had taken the shot and looked at it on the camera, I ate it! So no repeat attempts at that particular photo. It was yummy by the way, sweet and juicy. 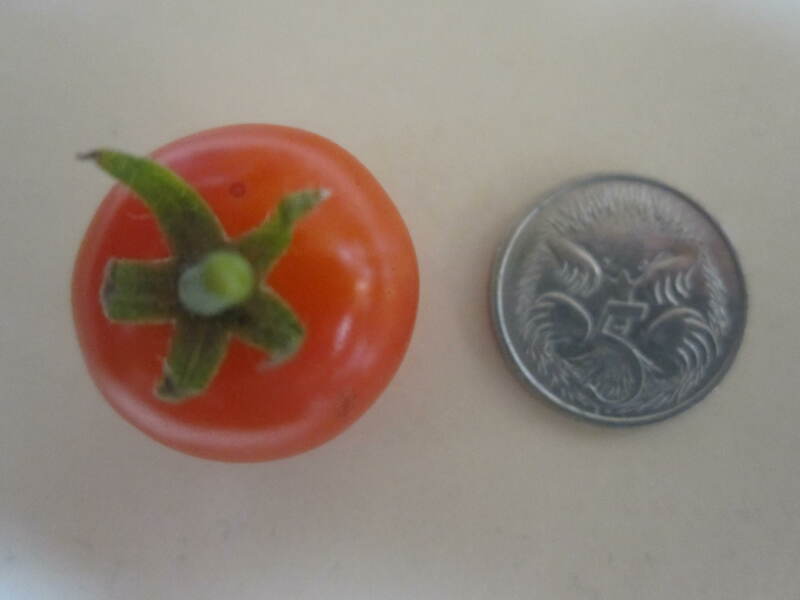 Because the tomato is (was) tiny, I am inserting it as a thumbnail picture. I look forward to a bumper crop of these mini delights.